Home › Computer Terms › What Is Cache? Cache is memory that contains information recently accessed by a computer’s CPU. A CPU can access the cache very fast and frees up space that would otherwise be used on RAM. Images and web addresses are a good example of what the cache stores for faster access. A bottleneck exists between the CPU and RAM. This bottleneck is a reason cache is necessary for faster computing. There are 3 types of cache that are integrated in a computer. Level 1 Cache – Level 1 Cache is usually deemed “high-speed” and is integrated in the processor. A reason for having this cache is due to the concept of “locality of reference.” This means that data recently accessed by the processor has a higher chance of being accessed again in short term. The Level 1 cache holds the most recently accessed data. If the processor needs the data again it first checks the Level 1 cache and successfully retrieves it. This process is about twice as fast compared to RAM. Level 2 Cache – Level 2 Cache is the secondary cache available to the CPU. It is most often found on a memory card close to the CPU. It is connected to the CPU directly and is controlled by a circuit in the motherboard. This circuit that controls the Level 2 cache is called the L2 controller. The L2 cache collects data that has been recently used and is not in the Level 1 cache. For many computers, the L2 cache allows the CPU to retrieve about 95% of its requested data from cache memory. Disc Cache – This type of cache memory is very slow compared to the other caches. Disc cache records information from a computers hard drive and stores in on the RAM. Programs such as DOS use disc cache. Performing computer maintenance tasks such as clearing the cache should be done on a regular basis. Allowing the cache to build up over time can result in a slow computer. It is actually very simple to clear the cache from a computer. 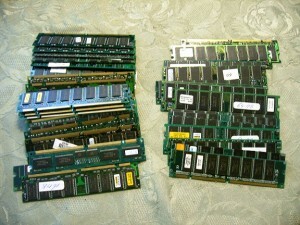 Regular computer maintenance is recommended to ensure the cache folder does not hoard system memory. Cache folders that are not regulated often result in a slow computer and decreased performance.